Kahrs Wood Floor Cleaner, in a 32oz spray bottle, is specially formulated to clean no-wax wood finishes like Kährs factory finish. 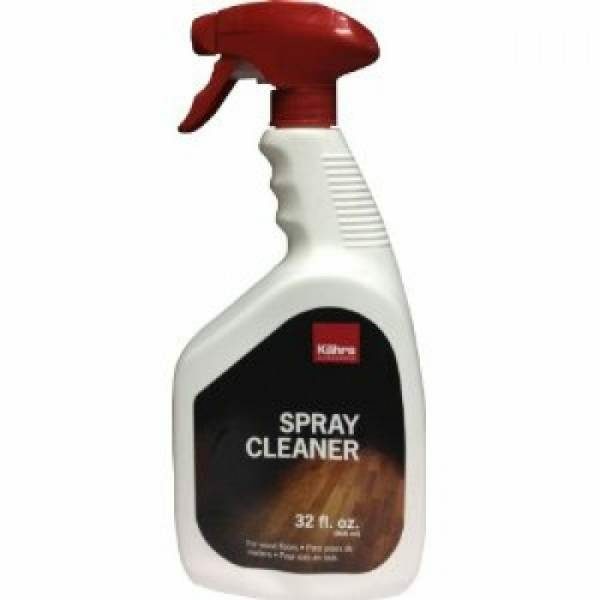 It removes the dulling residue that builds up on the surface of the floor and dries clear with no streaking. 1. Always vacuum or sweep before cleaning your Kahrs wood floor to pick up loose dirt. 2. Lightly mist a 4'x6' area of your wood floor with Kahrs Hardwood Floor Cleaner. 3. Using the Kahrs Mop, wipe using a back and forth motion. Finish one area before moving on to the next.